The court ruled that plaintiff may not seek damages for alleged infringement prior to the date the PTO issued a Certificate of Correction for the asserted patent. "After a [Certificate of Correction] is issued by the PTO, all future patent infringements go to the corrected patent claim and not to the original claim. [Plaintiff] cannot claim damages for infringement on the . . . uncorrected claims of the [asserted patent] because the PTO corrections do not apply retroactively and [plaintiff] only asserted infringement of the corrected claims. [Plaintiff] has never articulated an infringement theory based on the pre-corrected claims and it is undisputed that the corrections were made after the filing of the suit on August 29, 2006. In addition, [plaintiff's] expert has only discussed infringement based on the corrected . . . patent claims. Accordingly, [plaintiff's] claim for damages on the [patent-in-suit] is limited to the date of correction by the PTO." In denying summary judgment of invalidity as to certain claims under In re Bilski, 545 F.3d 943 (Fed. Cir. 2008), the court explained that the claims in question satisfied the "transformation" test "due to their recitation of the production of an image as a result of the comparison of numbers." "These images are the manifestation of a particular transformation. The patent dictates a transformation of specific data, and is further limited to a visual depiction which represents specific objects." Similar claims that did not include the visual depiction limitation were deemed invalid as claiming unpatentable subject matter. "Hotly Contested Disputes of Fact"
In granting defendant's motion for summary judgment of no willful infringement, the court explained that plaintiff's opposition to summary judgment of invalidity and noninfringement on the basis of disputed fact issues supported defendant's argument that such defenses were asserted in good faith. "[T]he court determines that [defendant's] arguments of invalidity and non-infringement demonstrate a good faith belief in its defenses to [plaintiff's] claims. In its own motion for partial summary judgment, [plaintiff] at least suggests that [defendant's] arguments are substantial. . . . In fact, in its brief in support of its motion for summary judgment [plaintiff] represented that: 'This patent infringement case raises hotly contested disputes of fact . . . [t]he core issues of infringement and validity in this case, accordingly, are not amenable to summary judgment.' "
In denying in part a motion to quash by defendant's former CEO, the court rejected the deponent's claim that the deposition "would 'seriously disrupt' the performance of his duties [as an executive for another company] during 'the current travails of the automotive industry. . . .' Though [the witness] may have a busy schedule, [he] has not shown any burden that would sufficiently outweigh Plaintiff’s request for discoverable information through a limited deposition." "Although [plaintiff] asserts that facts relating to (1) the development and functionality of the accused products; (2) Defendants’ knowledge of the [plaintiff's patents]; and (3) actions taken in response to learning of the [plaintiff's patents], may either be lost or more difficult to obtain, it has said so in a summary fashion, and has not provided any explanation about why this would be the case. Neither has [plaintiff] stated why these risks are of particular concern here -- as they are inherently present whenever a stay is being considered." "[Plaintiff] maintains that because [defendant] is a larger company, continued infringement by [defendant] will threaten [plaintiff's] ability to remain in business. This contention . . . is unsupported by any specific factual allegations in the record, including affidavits or business records. . . . In the absence of more particularized factual allegations, I find that [plaintiff's] claim of undue prejudice is too conclusory to justify denying the requested stay." Motion by plaintiff's president -- sued as a third-party defendant in his personal capacity -- to dismiss defendant's claims against him for failure to state a claim, was granted where defendant's claims depended upon an insupportable alter ego theory. "The fact that officers of a company get final clearance on business decisions from the president does not strike us as unusual, and . . . is not enough to warrant piercing the corporate veil." Plaintiff's motion to reopen discovery was denied. "[Plaintiff] has argued for various extensions [of the pretrial schedule] on the grounds that its new counsel regards as relevant certain facts which [plaintiff's] previous counsel apparently considered irrelevant. The undersigned is sufficiently experienced as counsel and judge to know that lawyers often look at matters somewhat differently - what is important, what isn’t; should I ask that or not; etc. For better or worse, parties are stuck with their counsel." Defendant's motion to dismiss a licensee for lack of standing to sue as a co-plaintiff was denied even though the license reserved to the licensor "the sole right and license including the right to sublicense others." "Even if some courts have used the term 'sole license' to refer to the situation in which a licensor happens to have issued only one license as opposed to agreeing to limit itself to the one license, this does not mean that is the only possible meaning of the term 'sole.'. . . [I]t is not the name but the legal effect of the provisions that counts. This, again, is a matter of contract interpretation and, without making a finding, the Court observes that the use of 'sole' in the context of 'sole right and license' in [plaintiffs' agreement] appears at least as supportive, if not more, of [plaintiff's] position that the Agreement is an exclusive license as of [defendant's] position that it is not." Newfrey, LLC et al v. Burnex Corp., 2-07-cv-13029 (MIED July 20, 2009, Memorandum & Order) (Cohn, J.). Following a bench trial, the court found plaintiff's patent to be unenforceable due to inequitable conduct. "[A] full and fair reading of [the prior art references] indicate that the applicants misrepresented those references. . . . The single most reasonable inference from the evidence discussed above is that the applicants intended to deceive. The applicants’ mere denial of intent to deceive is insufficient, and Plaintiff has not presented sufficient evidence of good faith to prevent a finding of intent." The court denied defendant's motion to extend the deadline for filing its invalidity contentions until after plaintiff served its infringement contentions on its related corporate entity that was served later in this action. "[Defendant] is a party separate from the [late-served defendant]. Had the Plaintiff decided to dismiss the [late-served defendant] from this lawsuit, [the earlier-served defendant] would still be required to timely file its invalidity contentions, regardless of who manufactures the accused products or possesses the prior art references." The magistrate judge recommended denying plaintiff's motion for Rule 11 sanctions for defendant's assertion of an obviousness defense. "To the extent that Plaintiff’s Motion appears to be nothing more than a repeat of the merits of its Motion for Summary Judgment, it could be argued that Plaintiff’s Motion for Sanctions constitutes a waste of judicial resources. Courts have declined to enter Rule 11 sanctions in cases where the conduct of both parties has contributed to the needless waste of judicial resources." "[A] co-owner of the [patent-in-suit] could not have promised [plaintiff's licensor] that all others would be excluded from practicing the patented invention. As a result, [plaintiff's licensor] was not an exclusive licensee of the patent, and could not have granted an exclusive sublicense to [plaintiff]. For this reason, the court concludes that [plaintiff] lacked standing to sue for infringement of the [patent-in-suit] at the time the amended complaint was filed." In granting defendant's motion to transfer, the court found that "[a]lthough both the citizens of Michigan and Illinois have an interest in protecting local businesses, undeniably Michigan has a broader interest in the welfare of its automobile industry and thus, generally, the resolution of this dispute. And because sales of products that incorporate the allegedly infringing activity occur in Michigan, this factor favors transfer." Plaintiff's motion for sanctions against a defendant who violated a court order by raising the issue of plaintiff's motivation for incorporation in the Cayman Islands was granted in part. Plaintiff was given the option of having a mistrial declared against the defendant, severing that defendant for a separate trial, limiting the defendant's voir dire with an instruction to the new jury panel regarding the basis for the limitation, excluding defendant's infringement expert from trial, and paying all the parties' costs and attorneys' fees for the first jury selection as well as the plaintiff's costs and attorneys' fees for the second trial. Defendant's motion for attorneys' fees -- following its successful motion to dismiss for lack of subject matter jurisdiction -- was granted in part. "As the court noted in its prior Order, [plaintiff] neglected to contact higher management to verify something as basic as the ownership of the patent on which it was going to bring suit. Here, [plaintiff's] assertion that 'counsel saw no reason, and had no duty, to question or further investigate the ownership of the . . . patent' is simply wrong. . . . The court finds that the conduct of [plaintiff] and its counsel was negligent and manifestly unreasonable, which resulted in frivolous litigation." Defendant was permitted to argue that features other than those allegedly covered by the asserted patent drove commercial success of the accused products, but was not permitted to offer evidence that such additional features were separately patented. 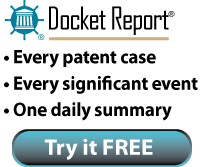 "The Court will exclude evidence of [defendant's] patents to rebut Plaintiffs’ expected argument that the [patent-in-suit] drove the commercial success of the [accused product]. [Defendant] may argue that its own 'later and greater' specific features drove the commercial success of the [product], but [defendant] cannot use the terms 'patents' or 'patented' in discussing the features. Use of the term 'patent,' in this context, is irrelevant, prejudicial, and will cause jury confusion." Plaintiff was not unreasonable in pursuing its infringement claims even though plaintiff's pre-filing testing indicated that defendants' accused product did not satisfy the "specific for" limitation found in each asserted claim. "[B]efore any claim construction by the Court, and certainly before the suit was filed, the meaning of 'specific for' and the interfering PTH fragment claims limitations that [plaintiff] used as a basis for an allegation of infringement was not unreasonable." In denying defendants' motion for judgment on the pleadings regarding claims of joint infringement, the court found that "there is little doubt that [BMC Resources, Inc. v. Paymentech, L.P., 498 F.3d 1373, 1380 (Fed. Cir. 2007)] and [Muniauction, Inc. v. Thomson Corp., 532 F.3d 1318, 1329 (Fed. Cir. 2008)] have elevated the level of proof that is necessary to succeed on a joint infringement theory. However, this Court is not willing to read these decisions as mandating a heightened pleading standard that requires a plaintiff to plead a specific theory of vicarious liability. It is true that [plaintiff] must eventually prove 'direction and control' to establish joint infringement, but the legal standard enunciated by Paymentech and reiterated by Muniauction simply does not invoke a heightened pleading standard nor does the standard necessarily require vicarious liability." Plaintiff's patent was not unenforceable due to prosecution laches. Although "[plaintiff] waited more than six years after filing the parent patent application before telling the PTO it had claims to 'automatically complet[ing] an on-line purchase' . . . [d]uration of prosecution . . . does not provide a bright-line rule as to the reasonableness of prosecution. . . . The court must look to the prosecution history of the patent family as a whole. During the period [defendant] contends constitutes undue delay, however, [plaintiff] was prosecuting other applications in the patent family. [Plaintiff] also explains that '[a]s with most small technology companies with limited resources, [plaintiff] had to be selective in filing patent applications, and [plaintiff's] five applications were filed in 1996, 1996, 1998, 2000, and 2002, respectively' . . . That explanation is reasonable . . . Moreover, the court notes that [plaintiff's] patents were all filed after June 1995, and, therefore, was not extending its patents’ term by delaying to file the claims of the [patent-in-suit]." Defendants' motion to transfer venue for convenience was denied. "[T]he cost for attendance of willing witnesses factor slightly favors transfer, and the 'local interest' factor strongly favors transfer. All other factors are neutral. Though the Court acknowledges that this is a close case, it is readily distinguishable from cases such as In re Genentech and TS Tech. . . . In light of the evidence that the relevant witnesses and documents are spread across the country, the simple fact that one of the Defendants operates primarily in the transferee venue cannot, standing alone, show clear convenience. If that were so, most cases could only be tried where the parties had their principal places of business. That result is clearly in conflict with a plaintiff’s right to file a case in a district where jurisdiction and venue are proper. Given the evidence before the Court, Defendants’ showing of convenience is tepid and murky rather than clear. Thus, Defendants have failed to meet their burden of showing that the Western District of Washington is the 'clearly more convenient' venue." Defendant's motion to dismiss for lack of subject matter jurisdiction was granted. "[Plaintiff] alleges it has three new designs that it intends to offer for sale and has indicated to its customers that it will offer for sale. [Plaintiff's] facts give no indication of when it plans to manufacture or sell the new designs. . . . Under these facts, the Court cannot determine whether [plaintiff] is ready to infringe tomorrow or next year. These alleged facts, under all the circumstances, do not show that there is a 'substantial controversy . . . of sufficient immediacy and reality to warrant the issuance of a declaratory judgment' . . . [Moreover] [plaintiff] has given the Court no assurance that its designs will not change dependent on the Court’s claim construction rulings. This concerns the Court. . . . It would be unfair to subject [defendant] to a declaratory judgment action where [plaintiff] may completely redesign its products mid-litigation in response to an adverse claim construction ruling."